Outlook in itself is an application that includes lot of apps. Calendar, Address book, reminders are an example of such applications. Users often complain that the icloud contacts are not showing up in address book in Outlook, or I have lost my iCloud contacts from Outlook. Here we will learn how to show iCloud Outlook contacts. 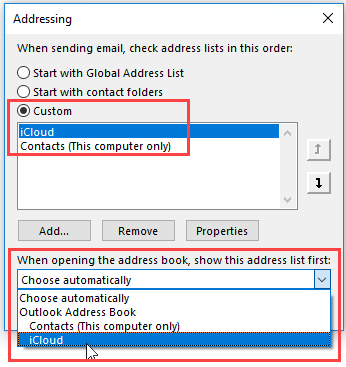 In this way you can get iCloud contacts in Outlook Address book.